Pakistan's acquisition of advanced Russian MI-35 attack helicopters is a significant shift in Moscow's policy towards the South Asian nation. Islamabad is also purchasing Viper platforms from the US besides actively considering to acquire advanced Z-10 combat helicopters from China. MI-35 will enhance Pakistan’s counter-terrorism capabilities. 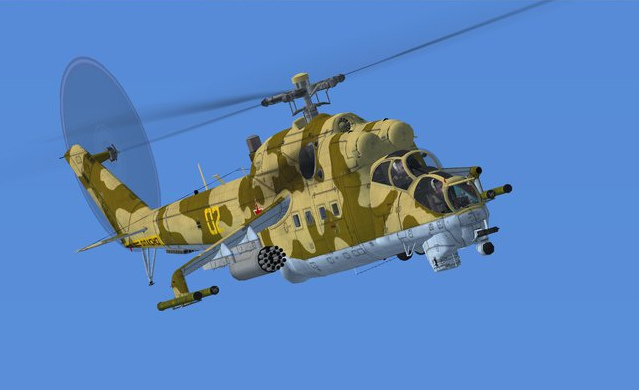 Russia has ended its decades long self-imposed arms embargo on Pakistan by agreeing to sell four of its most advanced Mi-35 ‘Hind’ gunship helicopters. Primarily designed for attack and military transport missions, the Mi-35 is a multi-role combat helicopter manufactured by Rostvertol, a subsidiary of Russian Helicopters. “An agreement was signed between Pakistan and Russian authorities in Rawalpindi for the purchase of four MI-35 helicopters,” an unnamed senior military official told Pakistani daily The Express Tribune. Little is known about the deal, especially the exact cost of the helicopters. A Taiwanese news website had reported in June this year that in all Pakistan will be receiving 20 Mi-35s from Russia. “The two countries may also reach deals on the Pantsyr-S1 short to medium range surface-to-air missile and anti-aircraft artillery weapon system, the Mi-28E all weather attack helicopter and the 9K37 Buk Grizzly missile system,” said a report in Want China Times on June 26. The MI-35M is one of the modern combat helicopters in the inventories of Russia,Venezuela, Brazil, Azerbaijan, India and many other countries. India has at least 20 MI-35M helicopters in its inventory, some of which participated in the Kargil conflict in 1999. The deal is a major departure from Russia’s long denial of its military hardware to Pakistan. It is likely to bring discomfort to India, one of Russia’s closest allies and main arms supplier. In fact New Delhi has minced no words in expressing its opposition to the deal, that had been in the air for months. Moscow has remained India’s largest defense supplier for decades, with military sales crossing $40 billion since the delivery of MiG-21s in 1963 to the present-day Sukhoi-30MKI fighters. New Delhi has been moving closer to the United States in recent years, raising eyebrows in Moscow. Over the last decade, American companies have won Indian defense deals close to $10 billion. India’s defense ministry approved the purchase of 22 American AH-64D Apache attack helicopters and 15 Chinook heavy-lift choppers, overlooking their Russian rivals, Mi-28 Havocs and Mi-26s, in May this year. The deal is valued at 3 billion dollars. Russia is believed to have denied its military hardware to Pakistan for decades largely under pressure from New Delhi. However, the changing dynamics of its relations with India and the latter’s growing closeness with the US was one of the main reasons for the change in Moscow’s policy. The growing relations between China and Russia is also being cited as another reason for change in Moscow’s policy towards Pakistan. However, Russian officials have always insisted that the deal has nothing to do with India and that Pakistan genuinely needs these combat platforms for its expanding counterterrorism operations. Pakistan is also reportedly considering purchase of advanced jet trainers for its air force from Russia. According to Australian defense industry news website defenseworld.net, Islamabad may be eying acquisition of Yak-130 trainer jets from Russia. “Pakistan Air Force officials have been talking to executives from Rosoboronexport and Irkut, the maker of the Yak-130, in various arms trade shows, though no definite intention to buy has been received,” the news portal reported on August 20. YAK-130 is being used by Russian Air Force which may have as many as 300 of these jets. The aircraft can be deployed as a light strike aircraft or as a trainer for a range of fourth or fifth-generation fighters. Pakistan Air Force is currently using Super Mashak, Karakorum-8 and the Cessna T-37 as trainers. Th K-8 is a single-engine, advanced jet trainer and light attack aircraft designed and manufactured jointly by Hongdu Aviation Industry Corporation (HAIC) of China and Pakistan Aeronautical Complex (PAC) to replace the aging Cessna T-37s currently in service with the PAF. The K-8 was introduced in Pakistan in April 2010. About 500 K-8s have been built since 1993. Pakistan is not new to using Russian hardware. The JF-17 Thunder, the fighter jet it co-produces with China, is powered by Russian Klimov RD-33 turbofan engine. It is believed to have close to 100 MI-17 helicopters in its inventory. But it is not clear how many of these platforms are in airworthy condition. It first received Mi-17s in 1990s and most recently in 2009, the US donated four reconditioned platforms. It opened a state-of-the-art MI-17 overhaul facility at Aviation Base Workshop in the garrison city of Rawalpindi in June 2014 with the help of Saint Petersburg Aviation Repair Company (SPARC). Pakistan has been making efforts to revamp its aging combat helicopters fleet. Its 51 mostly aging Bell AH-1F/S Cobra helicopters are fast losing their lifespan because of their extensive use in counterterrorism operations. Washington announced sale of 15 Bell AH-1Z Viper attack helicopters and 1,000 Hellfire missiles in April this year. The deal is valued at almost one billion dollars. If found feasible, Z-10 may replace Pakistan’s aging Cobra attack helicopters fleet. Islamabad is also considering purchase of Z-10 Fierce Thunderbolt helicopters from China, which gifted three such platforms to Islamabad earlier this year. The Z-10s, considered to be China’s frontline attack helicopters, have been undergoing trial under different conditions in Pakistan, especially in desert region of Bahawalpur. The Z-10 also has Russian origin because it was designed by Russian rotorcraft company, the Kamov Design Bureau under a contract with China. Primarily designed as an anti-tank platform, the Z-10 also has air-to-air capability. Pakistani officials have indicated that the initial trials of Z-10s in its extreme weather conditions have been “pretty successful”. Islamabad is expected to order the Chinese helicopters as well. 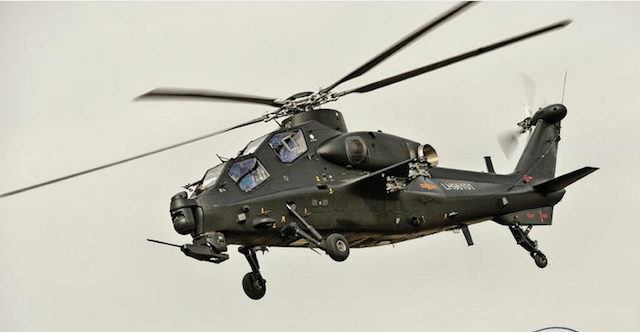 The Z-10 will supplement Pakistan’s arsenal of attack helicopters. 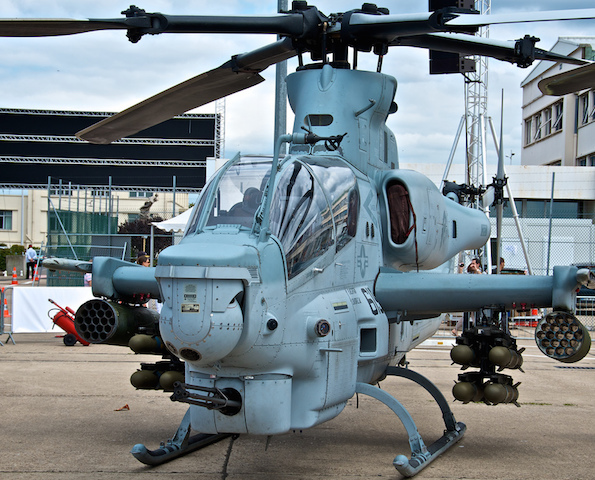 Its greater size allows it to carry more powerful thermal imaging and night vision equipment than the Cobra, as well as “fire and forget” missiles like the HJ-10 (the AH-1’s TOW missile requires that the helicopter maintain line of sight with the target, which leaves it vulnerable to anti-air fire). It also has a laser target designator, which could allow it to provide guidance support for missiles fired by the Burraq armed drones. One report said Pakistan could buy as many as 17 Z-10s in the coming months. It is expected to receive two more of these platforms by the end of the year.